Homesellers from San Jose to San Francisco are reaping six-digit windfalls thanks to steadily skyrocketing home prices, according to a new report from real estate tech giant Zillow. The median price increase between sales for home sellers was nearly $39,000 nationwide, but in some markets on the West Coast that number climbs into six-digit territory. In San Jose, the median net gain for home sales was $296,000 – a more than 50-percent price change between sales. In San Francisco, home sellers made $222,000 compared to the price of their home. In both markets, sellers earned more than the U.S. median home price. 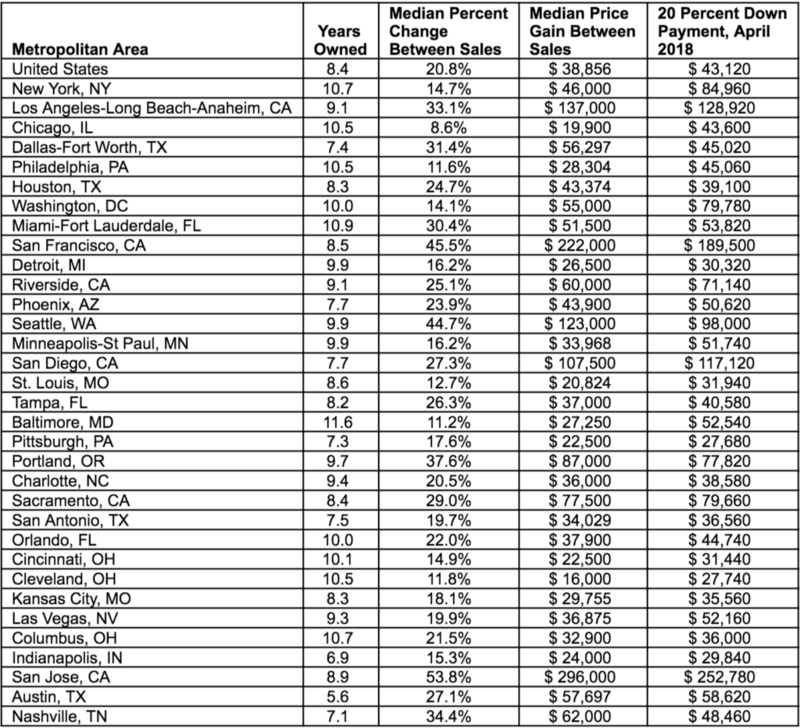 Median prices in San Diego, Los Angeles and Seattle also hit six figures. Low inventory has caused continuous price growth, especially in markets where homes are harder to find, the report says. More than a quarter of homes were sold above asking price in 2017, up from 18 percent in 2012. The report also found that the typical seller has lived in his or her home for slightly more than eight years, meaning the home was purchased right before the housing market bottomed out. In many instances, the proceeds from the sale are enough to put a downpayment on a new home – or buy one outright if you live in San Jose and are willing to move elsewhere. “Of course, these sellers typically are buyers as well, but the profits from the sale of their former home give them an advantage over first-time buyers who may be coming in with smaller down payments,” said Terrazas.